Eagle-eyed security guard Jason Cooke, 25, from Nottingham, enthused: "I couldn't believe it. It's just like the descriptions of Nessie." 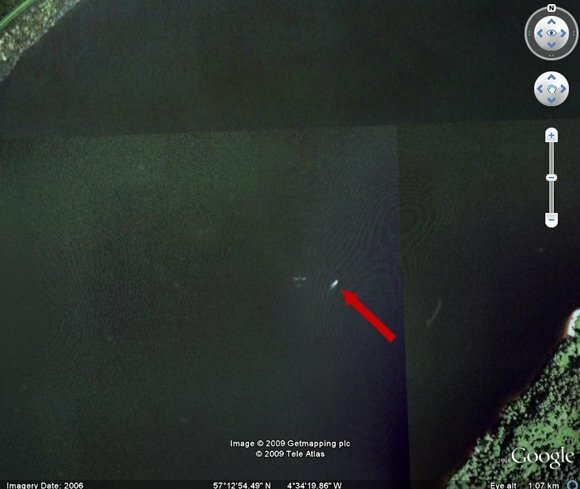 Researcher Adrian Shine, of the Loch Ness Project, told the paper: "This is really intriguing. It needs further study." 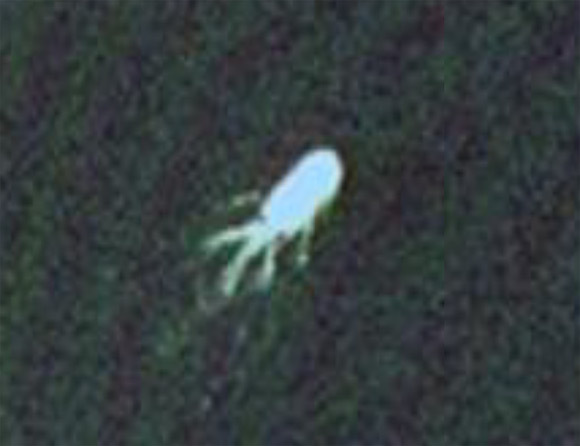 Sadly, as was the case with the amazing Cardiff Street View ghost, there's always someone keen to torpedo weird and wonderful Google Earth sightings, and other news outlets have suggested that what we have here is actually loch tour boat Ness Express.